Be part of a special One World Big Ideas Night with Chris Jackson and Ta-Nehisi Coates as they discuss Coates’ new book, WE WERE EIGHT YEARS IN POWER. The event begins with a panel of upcoming One World authors; Kimberly Drew, Eddie Huang, Quiara Hudes, and Jenna Wortham in conversation about their exciting works-in-progress. The second half of the program features One World publisher Chris Jackson interviewing Ta-Nehisi Coates about his new book, WE WERE EIGHT YEARS IN POWER, the follow-up to his National Book Award-winning and New York Times best-seller, BETWEEN THE WORLD AND ME. 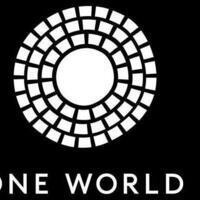 One World is the home of groundbreaking writers, thinkers, activists, and artists. Publishing the boldest, most original work from a diverse group of writers riveting narratives that disrupt the status quo, challenge the dominant modes of thoughts and give us a new language to understand our past, imagine our future, and see our present in all its complexity. NEW SCHOOL STUDENTS: Enter the waitlist for free admission here. Co-sponsored by The New School's Lang Literary Studies and NSPE Creative Writing.